Get ready for the 29th edition of the Coady Roundball Classic as hundreds of LGBTI basketball players will soon descend upon the city of West Hollywood for the National Gay Basketball Association’s signature tournament. The Coady Roundball Classic was formed after the 1990 Vancouver Gay Games after many different teams. The Gay Games has had a history of basketball competition since Gay Games I in 1982 was undergoing a major expansion for the Games of 1990 as athletes from the Vancouver area, inspired by the event sought to grow their own LGBTI sporting community. In 1989, the LGBT community of Long Beach, California had a series of informal and casual basketball groups that would get together to play for fun and comradery. In anticipation of the 1990 Gay Games a man named Mark Chambers formalized the rag tag gay basketball league of Long Beach and turned it into the LAMBDA Basketball League. The inspiration the Gay Games clearly didn’t just inspire athletes from Vancouver as hundreds of athletes from around the world found themselves more inspired and a new niche of sport within the LGBT community started to grow. After the Gay Games, a man named Sam Coady organized the first annual gay basketball championship that became “The Windy City Classic” as a way to unite the Chicago LGBT sports community and bring basketball to more people. Mark Chambers eventually handed over the LAMBDA Basketball League to go on a form the “National Gay Basketball League” In 2004 the Windy City Basketball Classic became the official national event for the newly formed National Gay Basketball Association and named in honor the original organizer, Sam Coady. For the first 25 years the Coady Basketball Classic was held in Chicago before expanding to other locations, starting with Las Vegas in 2016 and now Philadelphia. The 29th Edition, due to be held April 6th-7th in West Hollywood, California. 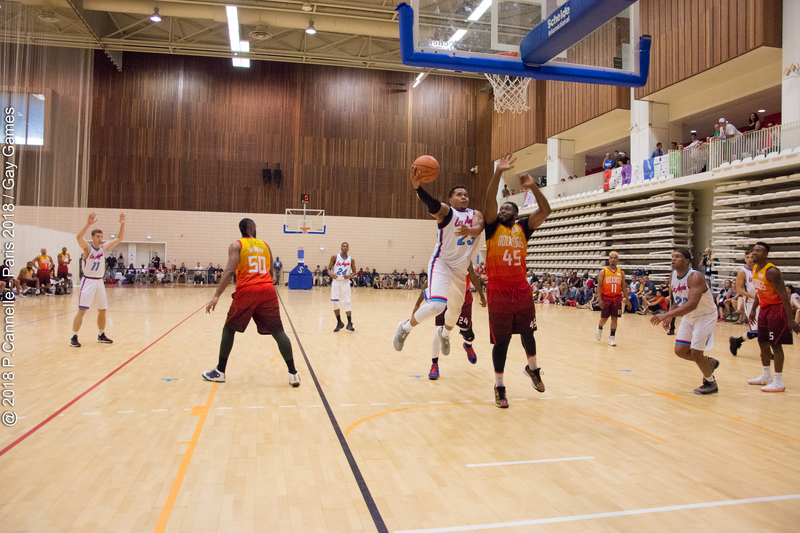 The event will offer an exciting weekend full of Basketball, social events and parties throughout the city. There will be 7 divisions offered from Open A to Novice D and a free agent team will be available as well. Athletes can expect competitive play in a division appropriate for their level and ability levels. With a diverse group of players of all shapes, sizes, gender identities, races, ethnicities and sexual orientations; the Coady Roundball Classic celebrates diversity at its finest through the sport of basketball. The National Gay Basketball Association’s Mission is to “Bring Basketball to all the LGBT players of the world” and to build the sport of basketball for the LGBT basketball players can speak with one voice in the larger LGBT sports community. The NGBA is a 501c3 Non-Profit organization that supports and encourages the formation of local LGBT basketball leagues throughout the United States. Working closely with the Federation of the Gay Games and the Gay and Lesbian International Sports Association the NGBA also helps to create opportunities for LGBT basketball players to compete at international events and have a positive impact on the LGBT community worldwide through basketball. In addition to the Coady Roundball Classic, many LGBT Basketball Players often see each other and form friendships at other various LGBT sporting events including the Gay Games. It creates an opportunity for people to meet each other with a common purpose and goal, through the sport of basketball. These friendships, even among rival players can carry on for lifetimes; truly creating a one of a kind community that isn’t constrained by space or time.